Police officers were called to a collision between two cars in the Market Rasen area this morning (Friday). Lincolnshire Police confirmed that the collision took place on the A46 Gallamore Lane junction with the entrance to the Brambles housing estate. 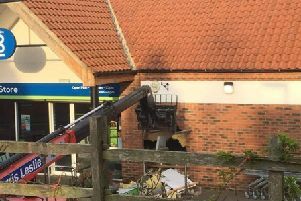 A Lincolnshire Police spokesman said that only the cars were damaged in the collision, and that the vehicles are being recovered.